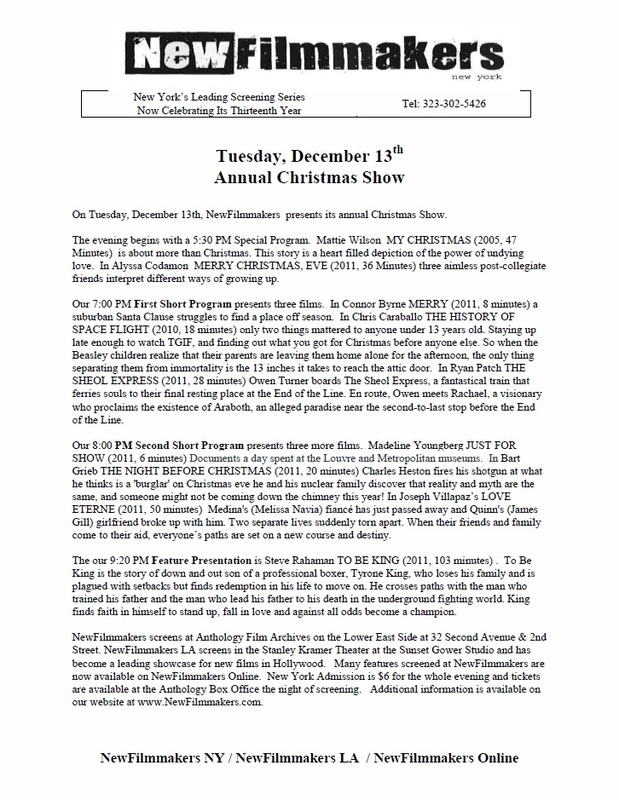 This is the press release from NewFilmmakers New York promoting their annual Christmas Show on December 13th which includes the screening of Love Eterne. This entry was posted on Friday, November 25th, 2011 and is filed under Uncategorized. You can follow any responses to this entry through RSS 2.0. Both comments and pings are currently closed.